Our Kissed by Cupid Sale ends tomorrow, but you still have time to purchase one of our halo, double halo, or yellow diamond engagement ring settings and save an extra 10%! I have selected a few of our newest and my favorite yellow diamond engagement rings that I feel should receive some recognition because they are absolutely stunning. Our jewelry designers love to expand our unique collections to keep up with changing jewelry trends and I feel that these are among our most beautiful settings. This ring is my favorite of our newest designs. 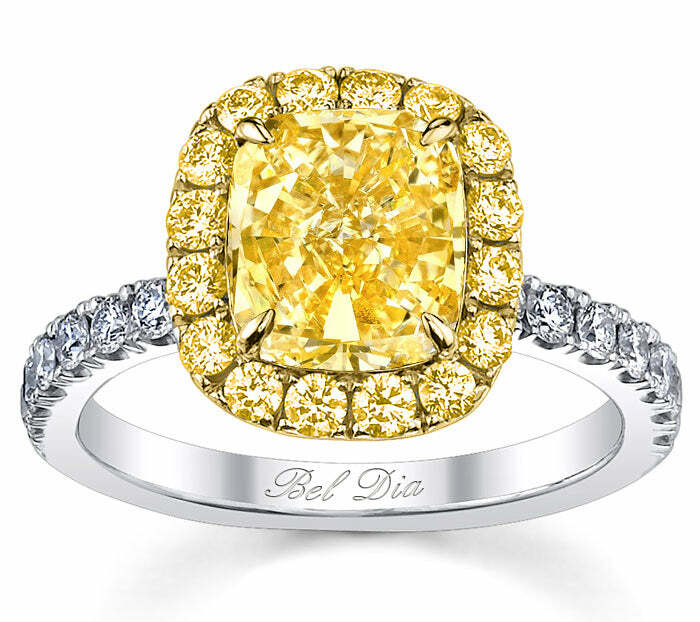 The white metal halo holds sparkling, white diamonds that complement the yellow diamond center stone flawlessly. Our designers added a yellow gold band to further offset the white metal halo. This double halo engagement ring is quite sensational because it features an outer halo of yellow gold and fancy yellow diamonds as well as an inner white metal halo with white diamonds. A pear shaped center stone also helps elongate the wearer’s finger and is rather flattering. 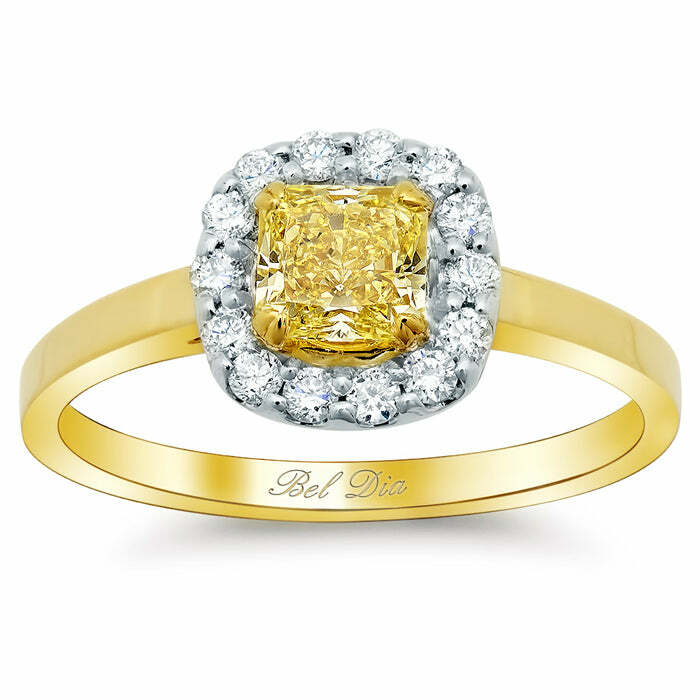 This yellow diamond halo ring is also impressive. From the classic design aesthetics to the white metal u pave band, this ring is timeless. 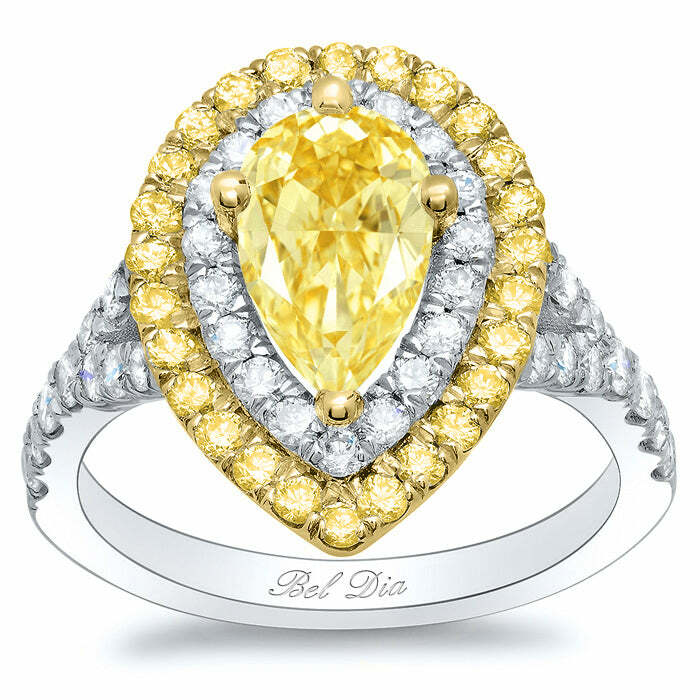 Remember, use coupon code CUPID during checkout to save an additional 10% on our yellow diamond, halo, and double halo engagement ring settings. Our sale ends tomorrow, February 6th! If you need assistance in finding the right center stone that works with your needs as well as your budget, please contact directly with our Personal Diamond Shopper form. Our GIA graduate gemologists would love to help you complete the engagement ring you’ve always wanted.